I read this article and found it very interesting, thought it might be something for you. 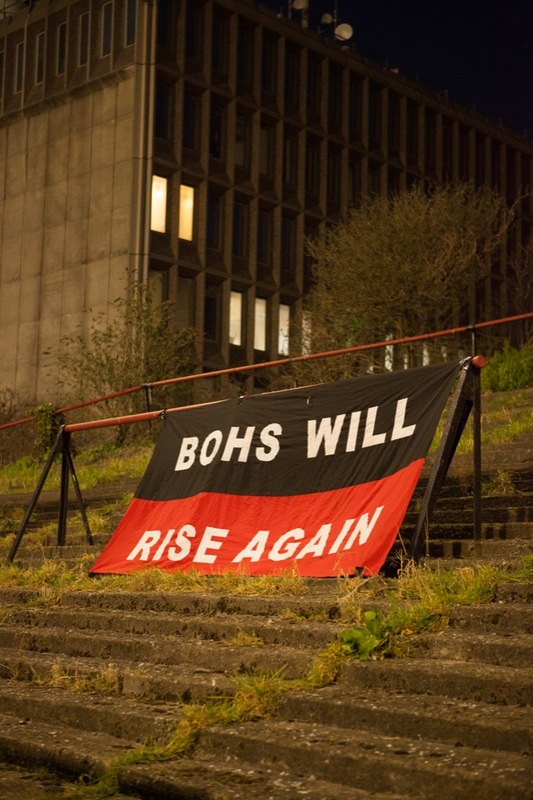 The article is called Game On – Shels and Bohs and is located at https://www.totallydublin.ie/more/game-on-shels-and-bohs/. 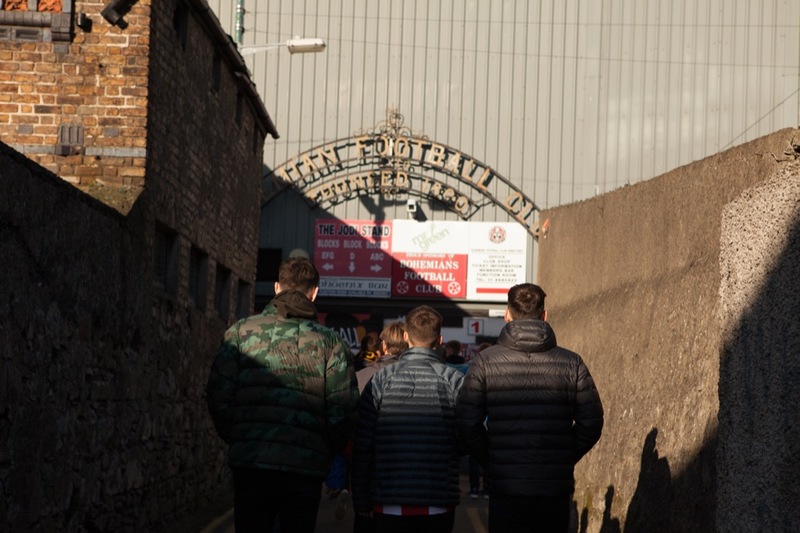 With the days of Dalymount Park in its current crumbling incarnation numbered, two of the big city clubs Shelbourne and Bohemians will soon be sharing pitch turf. We speak to some of those closely associated with both clubs. After about 22 minutes, Irish right-back Joe Kinnear picks up the ball just inside the opposition half and swings a cross into the box. The ball sails over the opposing centre-back and is met by striker Don Givens who expertly finds the bottom right-hand corner of the goal with his header. The Irish fans erupt with joy. The year is 1974 and Ireland have just gone one-nil up against former World Cup semi-finalists, USSR in a 1976 European Championships qualifying match. The match finishes three-nil to Ireland after Givens scores a hat-trick and a debuting Liam Brady gains fan adoration. 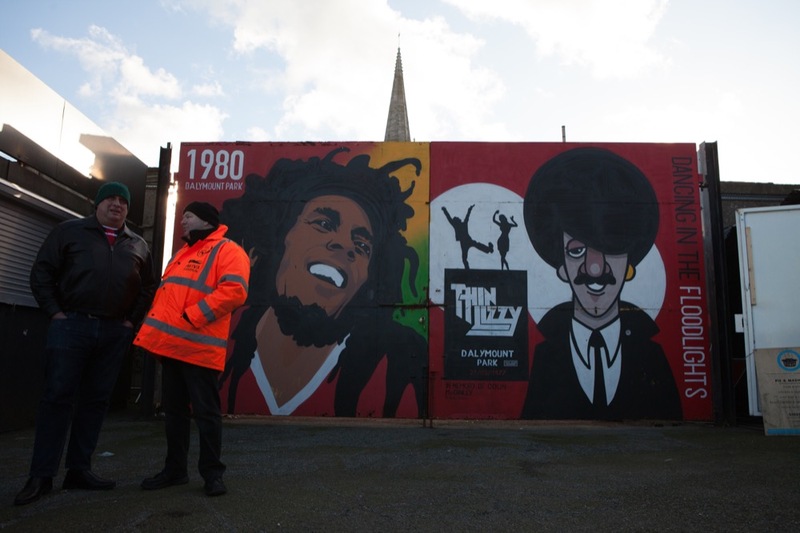 It is estimated that more than 35,000 fans swarmed to watch the Irish beat the once dominant USSR on that cold October afternoon in Dalymount Park, the historical home of Irish football. 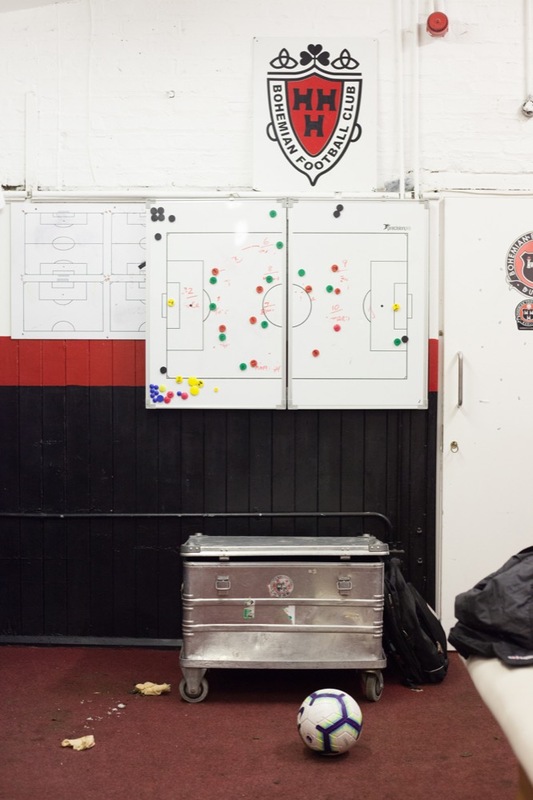 Since its opening in 1901, Dalymount has been the home of Bohemian FC, one of the oldest running clubs in the country having been established in September 1890. One of the founding members of the League of Ireland in 1921, Bohemian FC, or ‘Bohs’, have won the Premier Division 11 times, FAI Cup seven times and are one of only two teams that have not been relegated from the top-tier of Irish football – feats all accomplished on the hallowed turf of Dalymount Park. Only about a mile away from Dalymount and across the Royal Canal, Tolka Park and Shelbourne FC lie in wait. Shelbourne, like Bohs, have a storied past of hoisting league and cup trophies ever since their inception in 1895. Unlike Bohemians, however, the Drumcondra-based club currently play their football in League of Ireland’s First Division, having been relegated after the 2013 season. Soon Shelbourne and Bohemians will share a stadium. This move would have seemed like sacrilege only a few years ago but as both stadiums fall into disrepair and both clubs fight financial uncertainty, the decision has been made to have one ground host both teams. 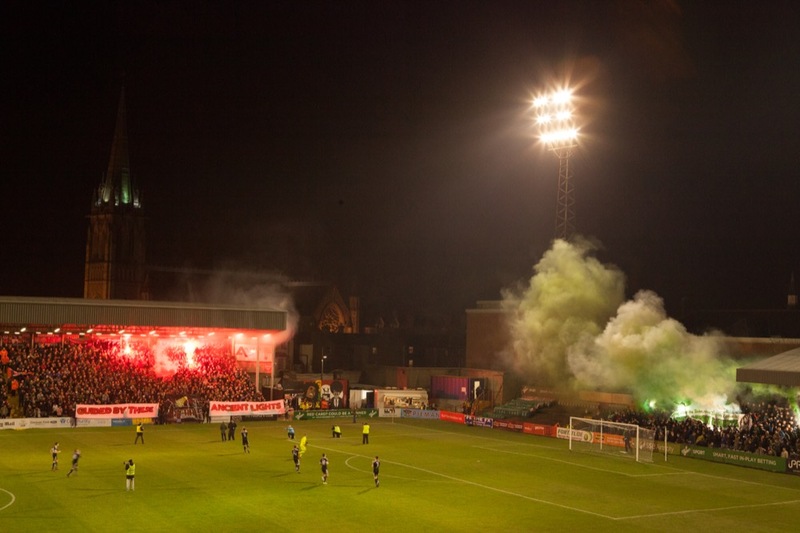 After the 2020 season, Dalymount will be demolished and the two arch rivals will share Tolka Park until the new Dalymount is primed and ready. Then, both clubs will reside in Dalymount, leaving the land which Tolka lies on to be turned into social housing. Players and executives will be heard from most about the move: the positives and the negatives, the logistics and the dynamics. The people in the background, however, the people that help make these clubs tick, are the people that will arguably, be most affected by the move. So, this is their experience, these are their words on what makes their club special and what’s in store for two of Ireland’s biggest football clubs. Meeting at the famously graffiti lined walls of Dalymount Lane on a horrifically wet afternoon, Daniel Lambert directs me to the bar located inside The Jodi Stand. The space is decorated with posters, plaques and trophies commemorating the club’s successes throughout their long existence. He says that due to over-spending and a property deal that never manifested during the “boom years”, the club racked up an enormous amount of debt. There were times, he tells me, that they feared the end was near. Lambert says that members of the club and people in the community helped in any way they could. To aid in the fundraising, Lambert organised two concerts in the Olympia Theatre and Vicar Street which were hosted by boxer Bernard Dunne and TV presenter Martin King. The concerts featured comedians such as Eric Lalor and Ardal O’Hanlon and musician Brush Shiels. Coming out of those dark days, that collective spirit of fighting for the benefit of something larger than oneself is indicative of what the club, and its ethos, stands for now, Lambert says. Officially launched in March 2016, the Bohemian Foundation is a non-profit organisation set up with the intent to give back to the local community via working with local schools, elderly citizens and The Irish Prison Service. 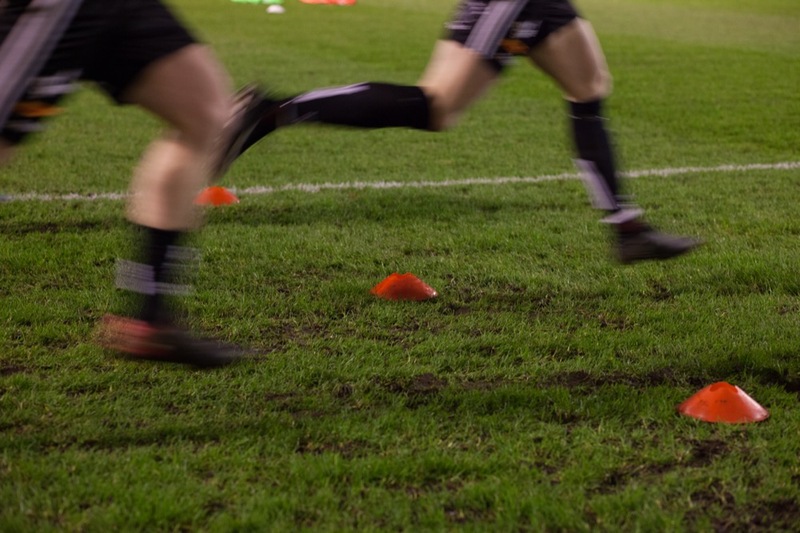 The foundation organises walking football events for over 50s, coaching sessions for inmates of Mountjoy Prison and helps local school children with advice on well-being and nutrition. 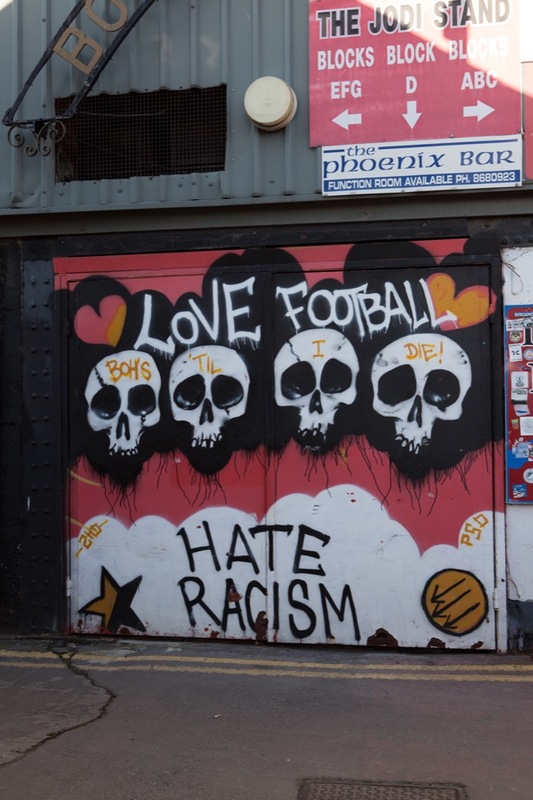 Lambert speaks with a conviction and a clear passion for Bohemian Football Club. In many ways, he and everybody else who volunteers and works at Bohs have earned that right. 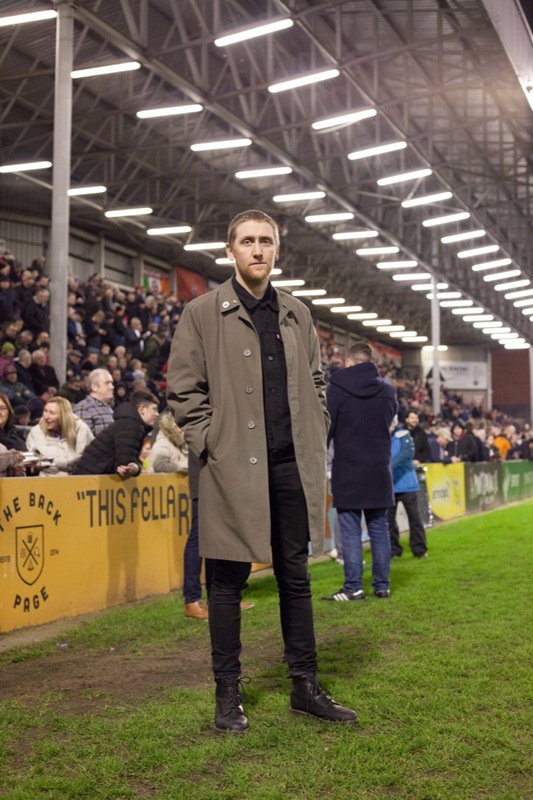 In addition to the community work, Bohemian FC hire a club poet, (which Lambert thinks is a world first for a football club) to write poems about Dalymount and the area. A percentage of all profits made on away jerseys sold goes to bringing people in Direct Provision to matches and recently they attracted 1,700 fans to an under-19 UEFA Youth League between themselves and Danish side, FC Midtjylland. O’Connor is wearing his army fatigues when I meet him at a Rathmines café. He now works full-time in the nearby barracks. “I started with the club in 2003, 15 years ago, just as a young fella helping out,” he says. When the club began falling further into debt and cost-cutting measures had to be implemented, O’Connor joined the army but stuck with the club on a part-time basis. 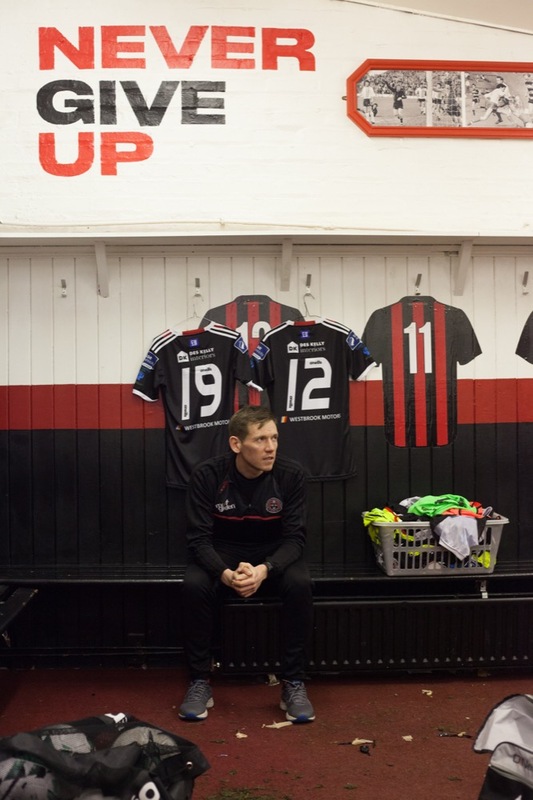 Although O’Connor is technically the kitman for Bohs, he explains that often, the washing of the jerseys is not the only responsibility that lies at his feet. Part of O’Connor’s role with the team would be to lend an ear to any grievances that the players might have. Although O’Connor admits that it was a time of over-spending, he still says that his fondest on-pitch memory since he began at the club would be the double-winning season of 2009. Shortly after the glory years, O’Connor, like Lambert, remembers the financial fallout and the very real possibility that the club would go bust. Now, he says, with the sale of Dalymount Park to Dublin City Council and the introduction of community programmes, the club is in a much better place. “It needs to be done. It’s badly needed,” he asserts when asked about the upcoming redevelopment of the stadium. Talking about the upcoming year, O’Connor seems hopeful that the team can pull of something worthy of “Dalyer’s” penultimate season. “I don’t think we’ll be challenging for the title, unfortunately because we just don’t have the squad. I do think we can go on a good cup run, however,” he says with a smile. Paul Byrne was the only fan present when the team toured Australia back in 1992. He remembers it vividly too. “We played in Canberra, went up to Sydney to play a game and then flew to Perth to play a game there. We played three nil-all matches,” he laughs. 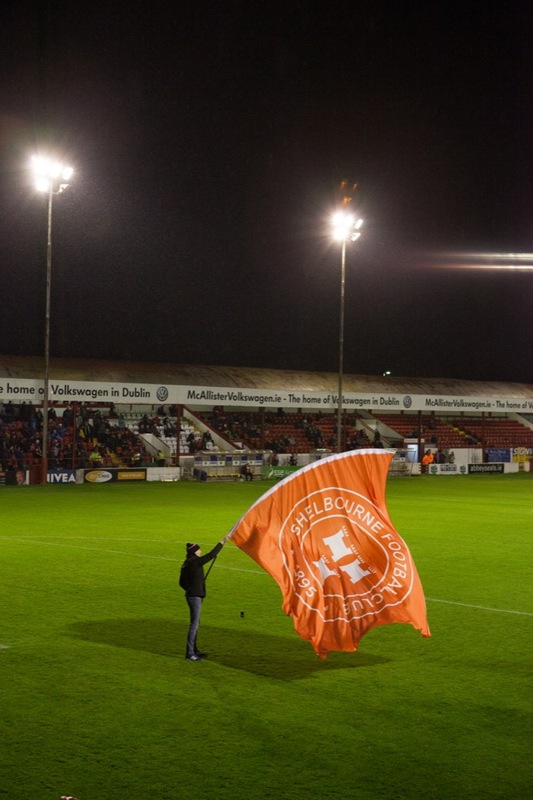 It could be argued that Byrne is Shelbourne FC’s biggest fan. He’s been to about 1400 games, “give or take a few,” and has familial connections to the club tracing back to 1895. Byrne is a wealth of knowledge about the League of Ireland and particularly Shelbourne FC. He casually recites the great rivalries that his beloved club had with Derry and Dundalk in the early 1990s and the club’s time playing in Harold’s Cross Stadium during the 1980s. Byrne is more than a ticket-buying fan, however. Over the decades he has been involved with the club at different times and at different levels. 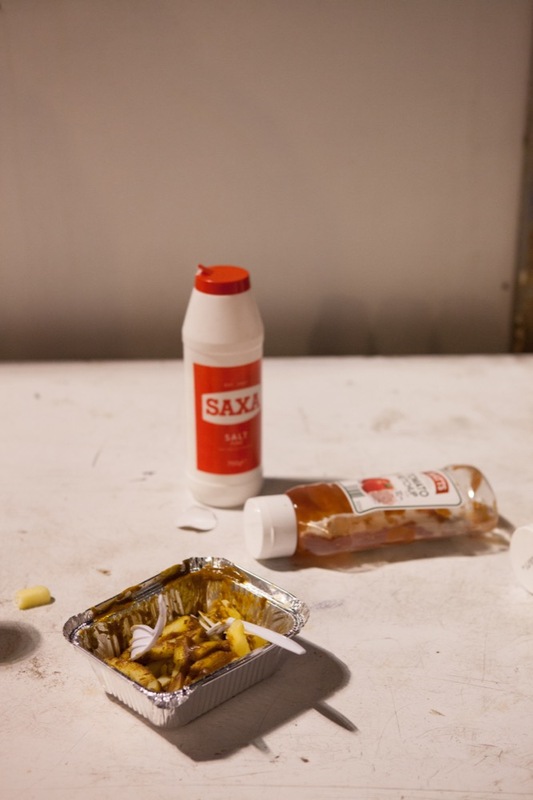 In Harold’s Cross Stadium, he and a few others were responsible for making sure all the rubbish left behind from the dog racing the night before was cleaned up prior to kick-off. 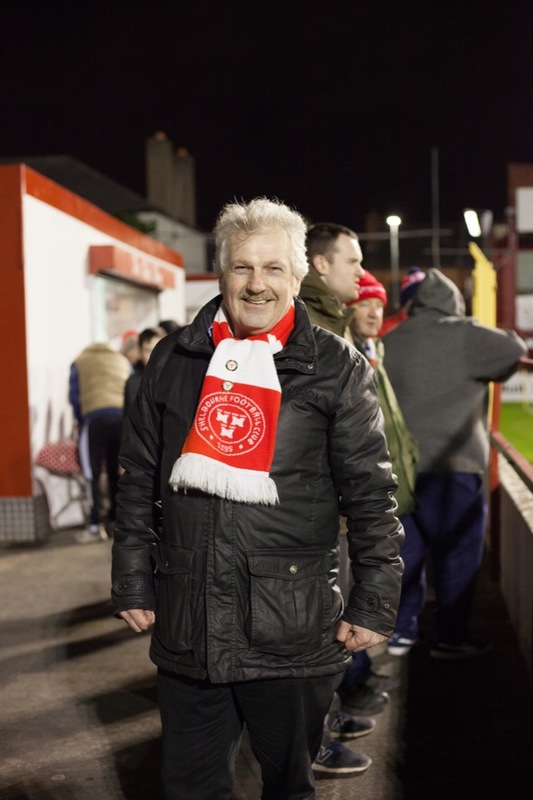 Before the club permanently moved into Tolka Park in 1990, he helped get the stadium ready with general handywork. He also ran the souvenir shop for a period and helped out on the turnstiles when he could. Byrne thinks for a moment when asked about what his favourite memory would be supporting his boyhood club. Eventually, after a few seconds, he recalls the time that Shelbourne beat Dundalk to win the league after a 30 year wait. On the flip side, Byrne expresses disappointment in the team’s position over the past few seasons. Although Byrne is looking forward to clashing once again with old Dublin foes, he has reservations about the groundshare. “We’ll never be rich, not out of Shelbourne anyway,” Shane O’Doherty, owner of The Little Grill, jokingly tells me. We meet just outside of Grogans pub on South William Street and O’Doherty is accompanied by his mother, Alison. 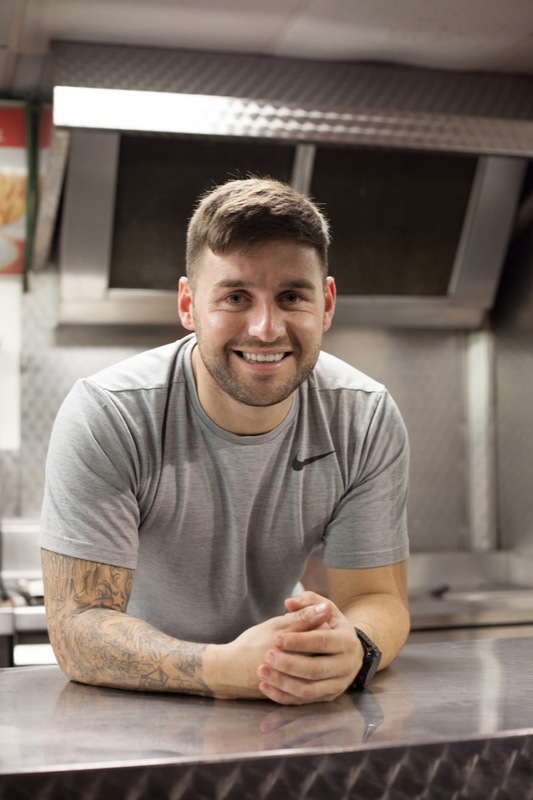 O’Doherty operates his fast-food van for Shelbourne FC in the grounds of Tolka Park on matchdays. Now into his third or fourth season – a definitive starting date can’t be given as it “feels like a lifetime when you’re in the van,” – O’Doherty says that it wasn’t always the plan to get into the catering business. 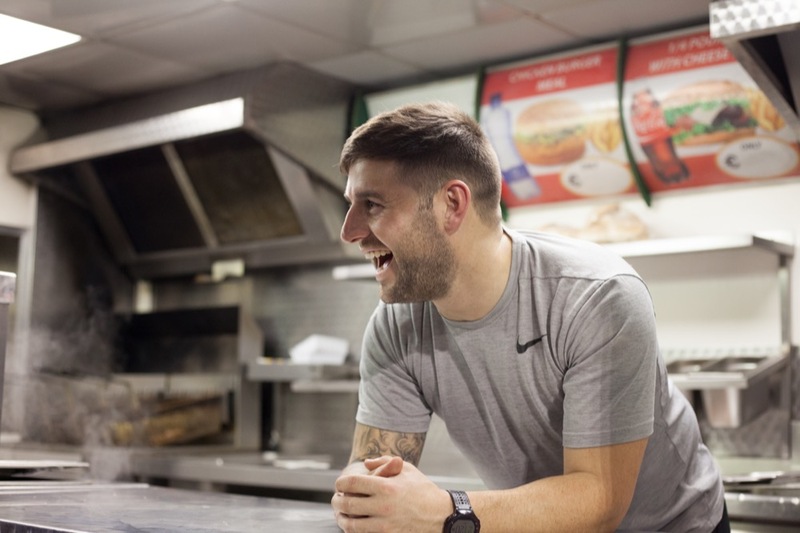 O’Doherty has been a fan of Shels for most of his life and played for the club from under-12s to under-17s, but catering for the loyal fans in Drumcondra kind of happened by chance. O’Doherty, like many people involved in League of Ireland clubs, has a full-time job in addition to his gig at Tolka Park. “Magically,” he answers when asked how he manages to balance both jobs. 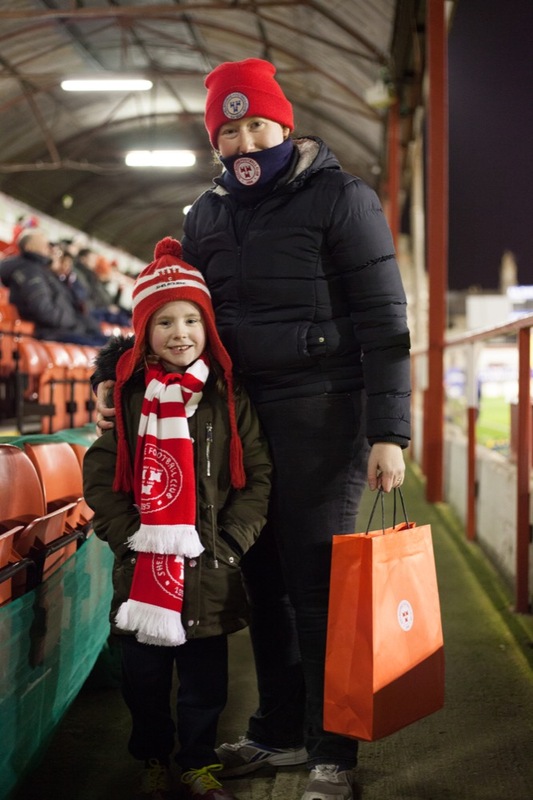 To make sure he doesn’t buy too much or too little stock for the match, O’Doherty would often ring ahead, to see how many fans Shels’ opposition are bringing that weekend. Operating a chipper van inside a stadium is not without its risk of injury, however. O’Doherty recalls a time when one of the arms holding up the hatch on the side of the van was struck by a stray ball. “If they hit the net as much as they hit our van they would be in the Premier Division,” he says with a grin. By “looking after the people”, O’Doherty means that he’s rather liberal with his prices, an unofficial policy that has endeared him to the Shelbourne faithful. “Sure I fed him all my life,” says O’Doherty. “Yeah, she’s like SpongeBob with those burger patties so she is,” O’Doherty admits.